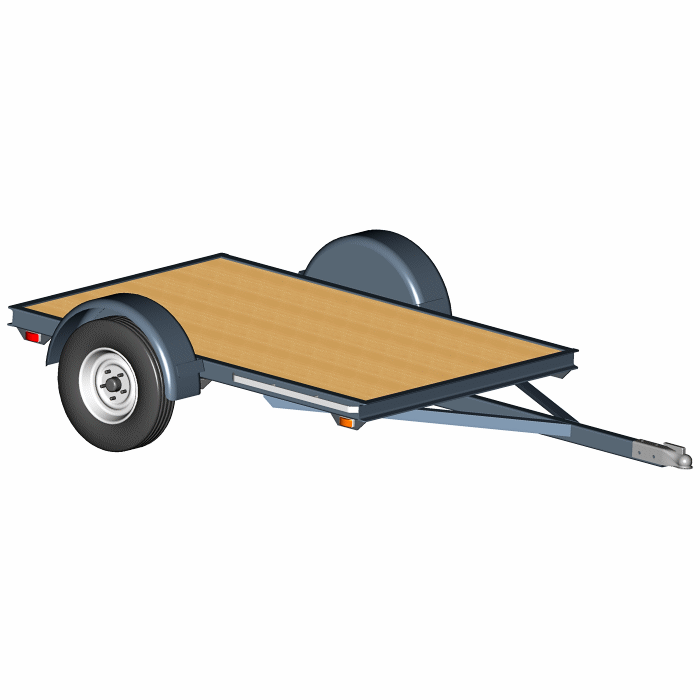 Our smallest utility trailer is great for honey-do’s and modest jobs. And, plans are available here for a torsion axle trailer, or choose the leaf spring trailer plans (same 4′ x 6′ size) instead. This small and light trailer is still a workhorse. Yes, it’s easier to store and pull with a smaller vehicle, but it’s still fully engineered tough. Torsion axles tend to do very well with small bumps and vibrations, and they offer independent suspension. 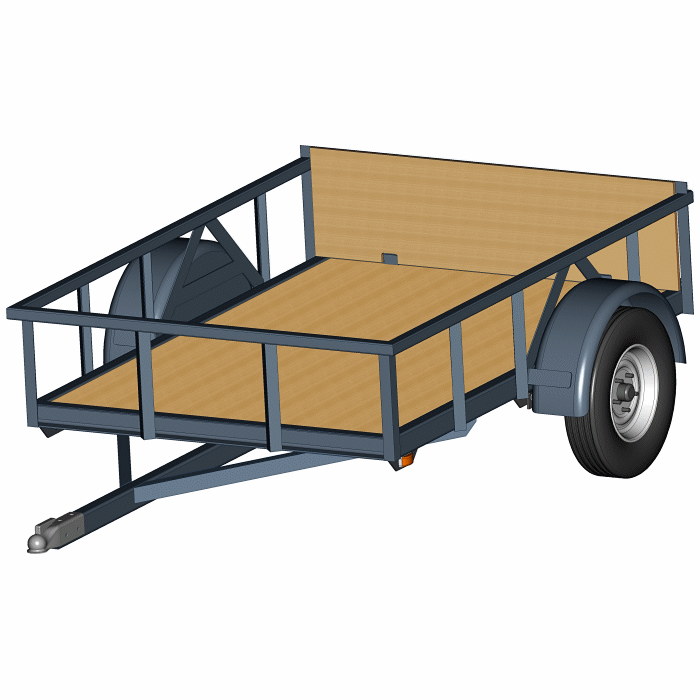 Make this one or the 4′ x 8′ Torsion Axle Trailer which is similar, but longer. 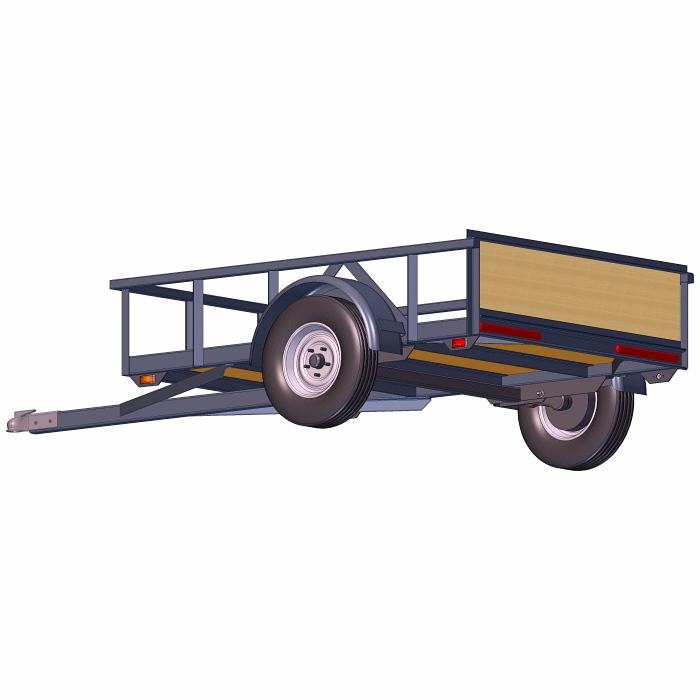 Torsion Axle Trailer – 2000 lb. Capacity, Designed Perfectly to Handle the Torsion. Has Design Options for a Building a Ramp, and/or Several Types of Sides. Choose what you like. Blueprints Include Plans for a Simple Motorcycle Travel Rack. True trailer bed size is 4 ft. 4″ wide by 6 ft. 3.5″. long — which makes a full usable 4′ x 6′ utility deck space. Max capacity (depending on options) is 2000 lbs. * including the trailer. True Torsion Axle Trailer Design — Engineered specifically for long life even with the full loading of a torsion axle. Trailer weight will vary depending on design options, but will range from 330 lbs (minimal flat bed) up. See our FAQ on trailer weight.